"Has anyone else lost voice navigation since updating to 10.2.1? How do you restore it?" After updated to iOS 10.3, some users are unable to use the map voice navigation in their iPhone. If you have restart you iPhone for times, but make no sense. Maybe you should check whether the navigation voice service is open, you can find it at the path: Setting>>Maps>>Driving & Navigation, then check the NAVIGATION VOICE VOLUME, if you have chosen "No Voice", please change it to a suitable one. Nevertheless, if you have already chosen the "Normal Voice" option, what can we do to handle the voice lost problem? We here highly recommend a free tool Any iOS System Repair (ReiBoot) to you, this software is designed for fixing kinds of iPhone stuck problem including Blue/Red/Black Screen, White Apple and restart loop, even other problems like operate slowly can be solved. After download Any iOS System Repair (ReiBoot) and install it, then launch it and follow the steps below. Step 1: Connect your iPhone with Any iOS System Repair (ReiBoot) via USB cable, and Any iOS System Repair (ReiBoot) will automatically detect your device, and then click "Enter Recovery Mode", you can check it in the interface below. 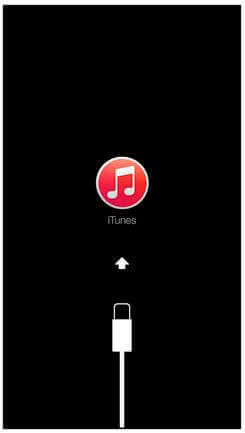 Step 2: If your iPhone have successfully enter the recovery mode, you will be able to see an iTunes and USB icons in your screen. "Exit Recovery Mode" button will soon be highlighted at Any iOS System Repair (ReiBoot), click it and your iOS devices will reboot in seconds. Through this enter and exit operation, then check the voice navigation service of your iPhone 7/7 Plus/SE/6s/6/5s/5 can talk or not. If so, congratulations! If not, you may consider whether there is something wrong with the operating system. When using Any iOS System Repair (ReiBoot) you can easily find a "Fix All iOS Stuck" button. We here will guide you to repair your operating system without data loss, if you want to know more about this function, you can click for details. 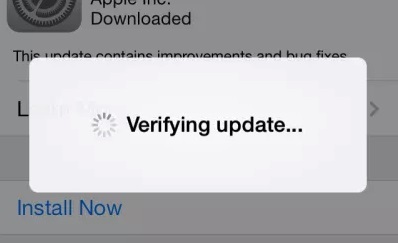 Select "Fix All iOS Stuck", and you will see the interface below. 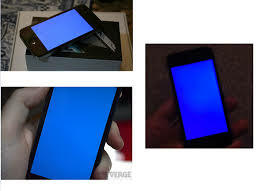 If your iPhone/iPad/iPod performs abnormally, you may need to make them enter recovery mode or DFU mode first. Any iOS System Repair (ReiBoot) will guide you download or manually import the firmware package for repairing, the whole process will take you some time, please patiently wait for a while. When Any iOS System Repair (ReiBoot) tell you that the work is done, your devices now will surely back to normal, have another try to use the inner map voice navigation! When you friends tell you that their iPhone map doesn't talk after iOS 10 update, do you know how to handle? Any iOS System Repair (ReiBoot) can help you a most effective method for those kinds of iOS stuck issues. Give it a download and let it give you a hand.